We received the Melon Slice a few months back to test. 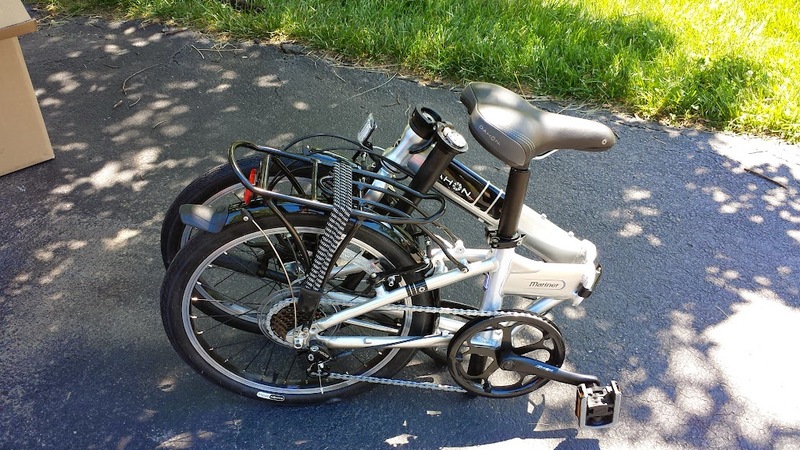 Melon Bicycles provided us a demo unit and we were not paid to provide this review. Here’s our disclaimer. Suggested Rider Height 4’-8�? to 6’-3�? Riding the Melon Slice is actually pretty fun. What I liked most about this bike is the fact it is super nimble. If you recall riding a BMX bike when you were a kid, just think of the same type of agility and handling, but in a grown up way. 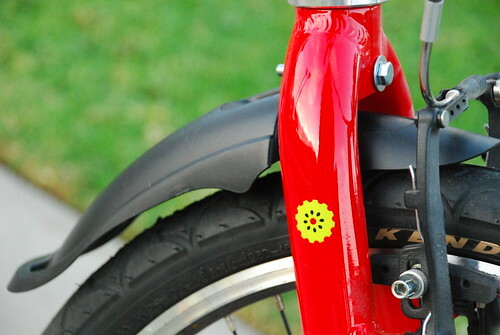 Since the Melon Slice has a shorter wheel base than the average bike, its handling is really quick and responsive. Popping wheelies and the occasional bunny hop is pretty easy on the Slice. 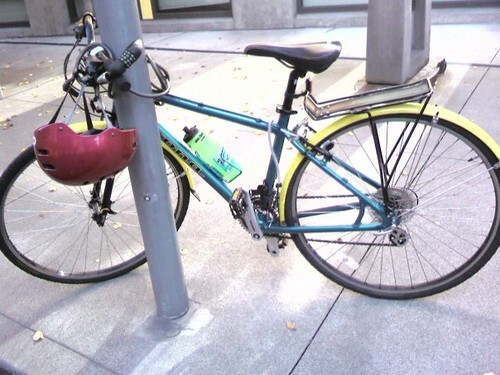 So why would a bike commuter be doing those tricks? Well in my commute, there are tons of obstacles such as pot holes, trash, debris and even animals. The Melon Slice was awesome when it came to last minute directional changes. The ride experience of this bike was very pleasant. It’s a smooth riding bike and if needed it could mash. 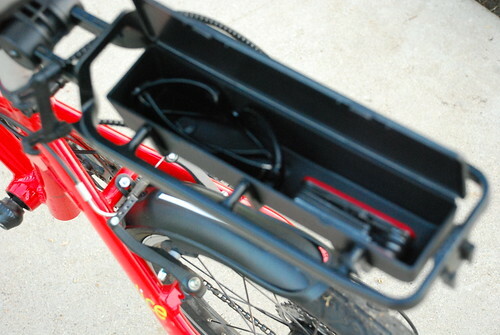 When looking at this cute little folder, you’d think its going to be a bike that your grandmother would be riding. 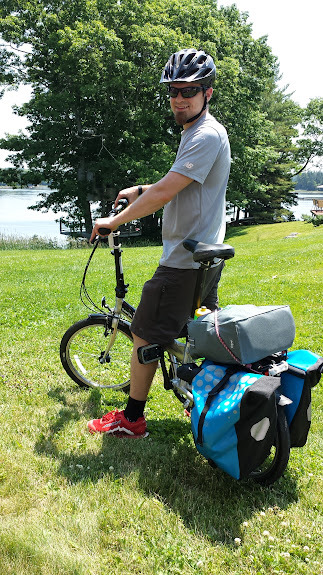 In fact I had some people call it an “RV Bike.” Not sure if you knew this, but folders are pretty popular with RV folks since they store pretty easily in tight spaces. Anyhow, the Melon Slice is quite a sleeper. 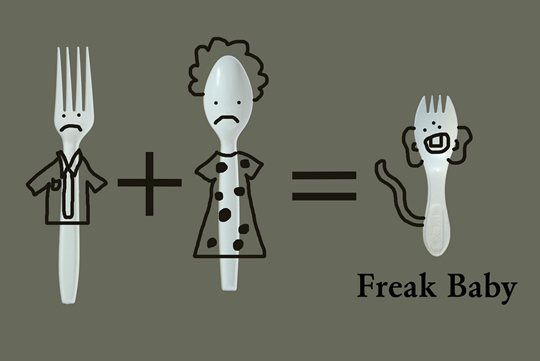 I mean just look at it, it’s cute. Nothing about it says HI PERFORMANCE. However, that all changes when you start pedaling. The 52t chainring gets this bike moving like no one’s business. Combine that with the 8speed Shimano 12-25T and this bike will fly. There really isn’t much effort needed to start reaching speeds over 20mph. Shifting with the SRAM MRX grip shift was pretty accurate. 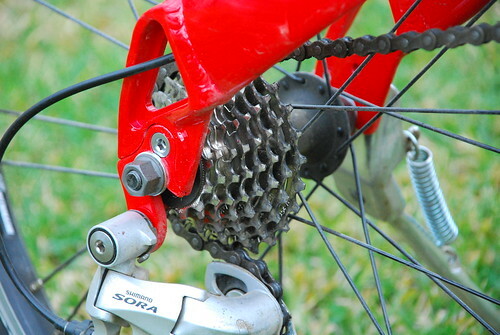 However, towards the last week of testing, I noticed that the rear derailleur needed to be slightly tuned. The Promax brakes are pretty powerful. They can stop me without a problem, and I’m a big guy, 208lbs (all muscle). 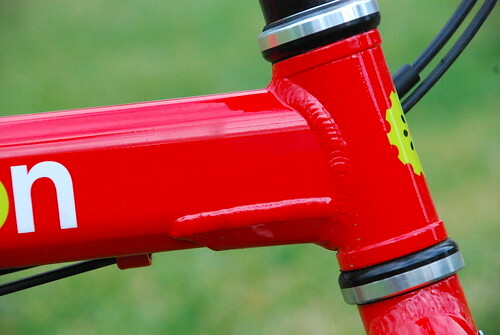 One gripe I have would be the width of the handlebar. It measured at 20″ wide. 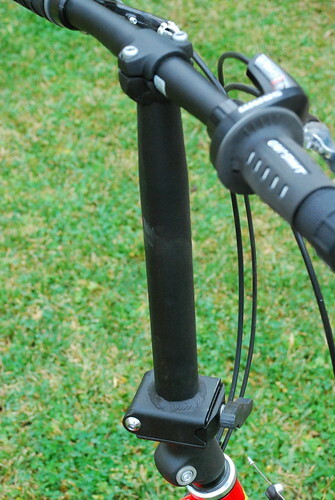 I prefer to ride with a minimum of 25″ bars. Besides, I like the extra leverage I can get with wider bars. It makes climbing out of the saddle easier. 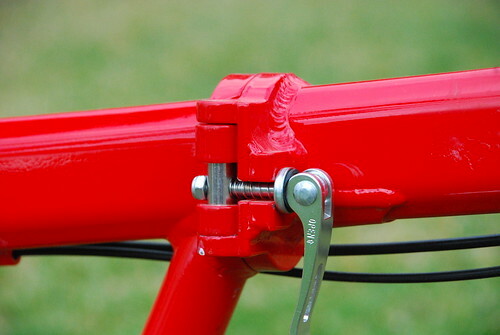 So there are two options: you can invest in an expensive set of wider bars Pricepoint.com has one for $10, or you can get a set of bar ends to help with the leverage when climbing. The Melon Slice is very durable frame. It’s gusseted for extra strength and it’s pretty stiff for a folder. 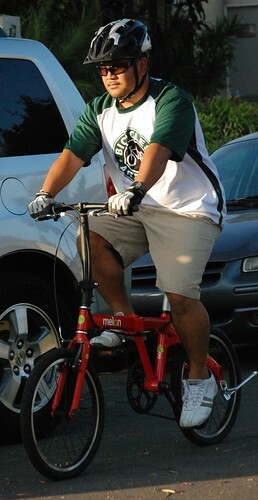 Even though this bike is pretty strong and durable, it does have a weight limit of 240lbs. So that means no big boys or girls. 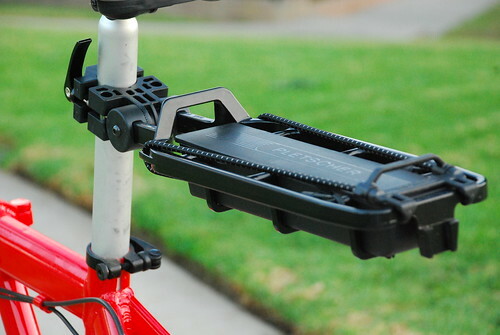 The folding ability of the bike makes this thing pretty easy to store. 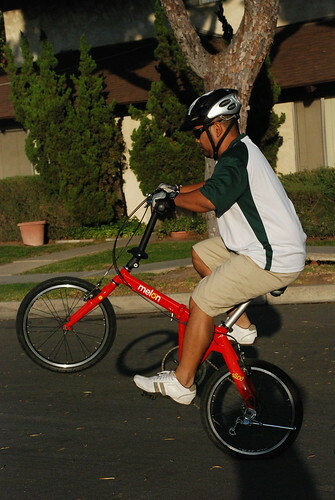 Folding the bike only takes 15 seconds and it’s pretty self explanatory. 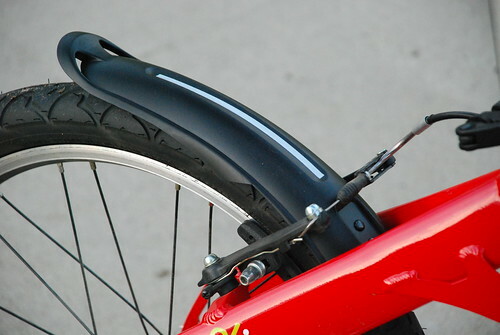 I know what you’re already thinking, “what about fenders and racks?” Well, you’re in luck. 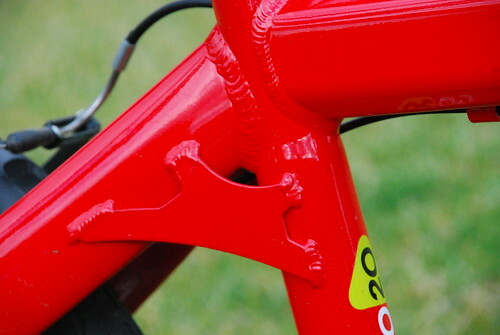 Melon Bicycles have already addressed that issue. 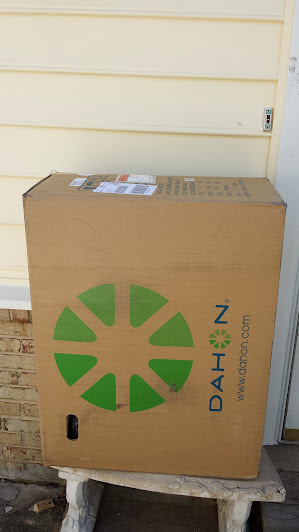 They sent me a fender and rack set that they have available on their site. The rack has a 20lbs capacity. But I noticed this thing wasn’t really meant for the large seat post since it was giving me some play when I would load it up. I really dig this rack for its storage. 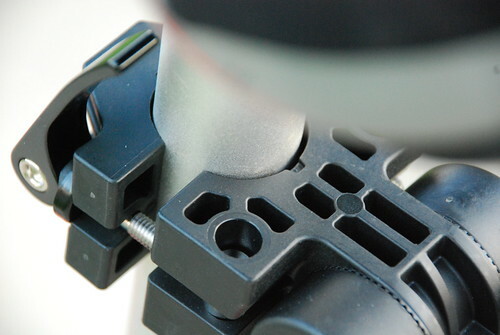 There was play on the clamp. The fittings that came with it were too small. 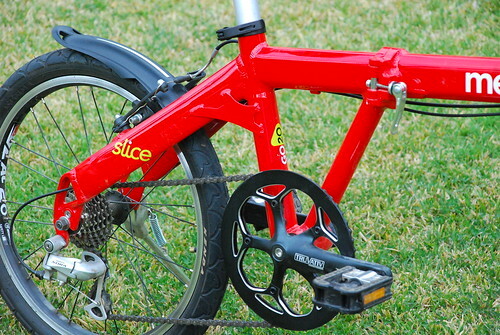 All in all, the Melon Slice is a pretty decent folding bike. I like how fast this thing goes and the gearing was just right for hills and flats. Its’ a very nimble bike, handling is exquisite, the wheels stayed true and the shifting stayed pretty tuned up until last week. But that’s nothing that a few turns of the adjuster barrel couldn’t fix. 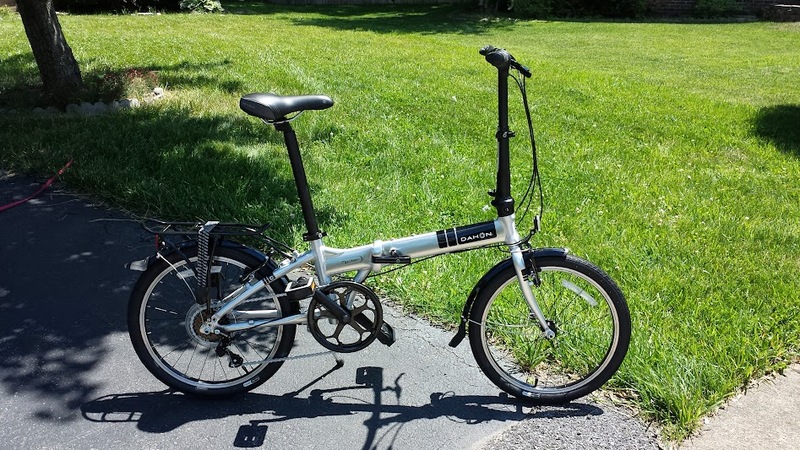 So for $599, this folder has all the benefits of a small commuter/folding bike, but it also has the capabilities to keep up or pass other riders with bigger bikes.